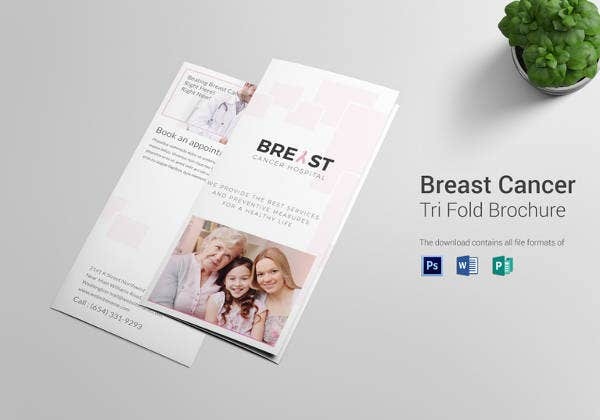 12+ Breast Cancer Brochure Templates – Free PSD, AI, Illustrator, PDF Format Download! Breast cancer is a lethal illness that a lot of women suffer from these days. It is a painful and traumatizing disease and it is necessary to create awareness about it. 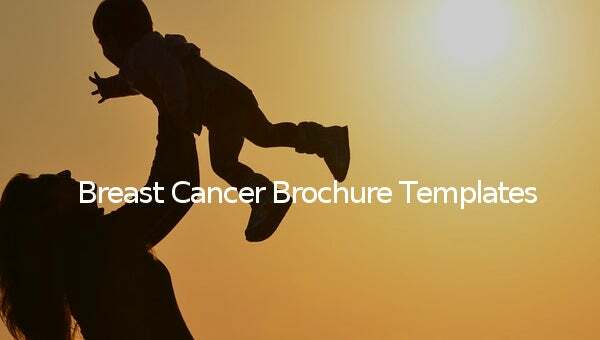 Our breast cancer brochure templates have been designed for precisely this purpose. These templates are highly informative, well made and absolutely free of cost. 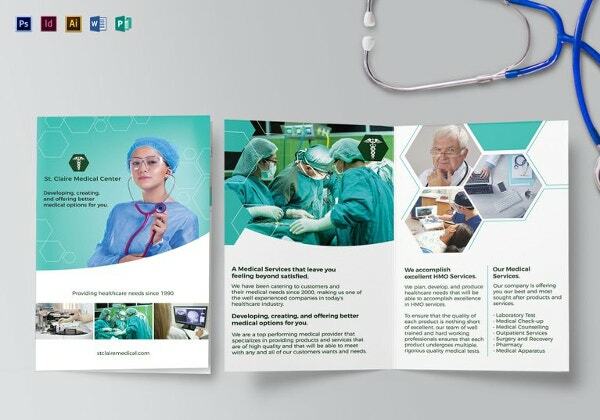 You can also see Fresh Digital Brochure Templates. 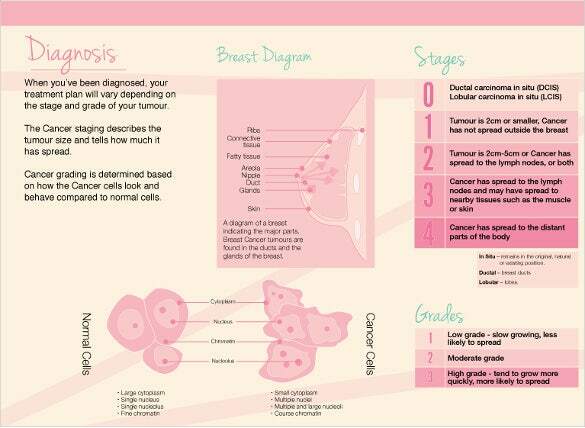 This breast cancer brochure offers a detailed data on breast cancer, with highlights on its diagnosis, stages & grades. The diagrams present help to understand the situation in a much better light. 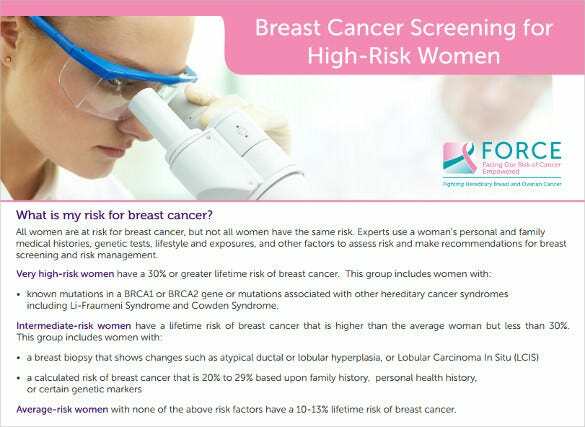 facingourrisk.org This breast cancer screening brochure will help to spread awareness about the breast cancer risk in women. 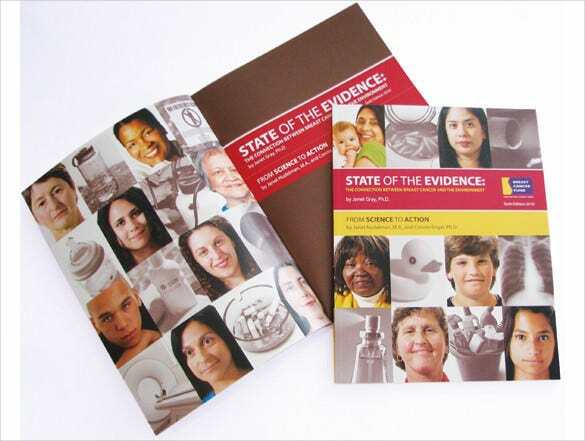 The brochure discusses the risk factor of both intermediate & high-risk women as well as average-risk women. 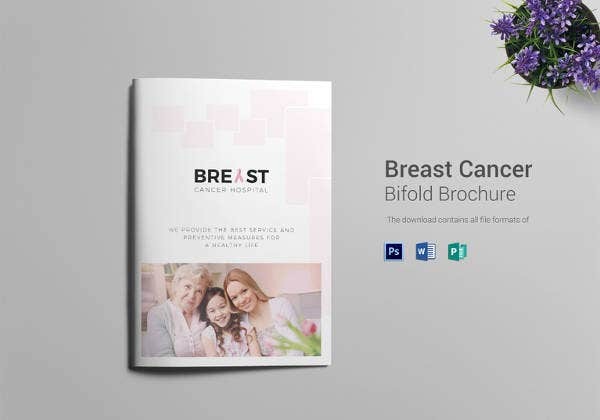 This is a beautiful brochure for Breast Cancer Fund which works to spread awareness on the risk of breast cancer given the exposure to radiation & harmful pollutants around. The brochure presents detailed information and the entire outlook is very soothing to the eye. 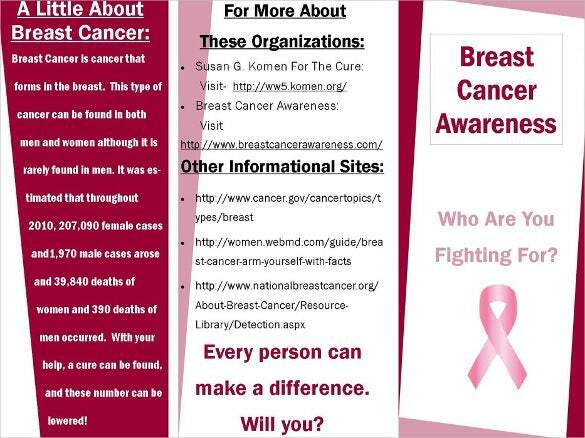 This is a very interesting brochure report by Breast Cancer Fund. The report has shown the pictures of people who had breast cancer in real life along with the pictures of the items that led to the disease. 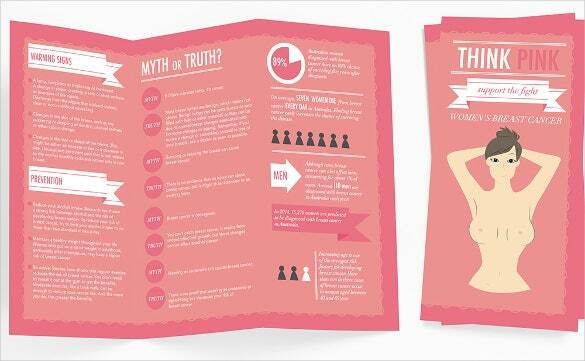 The brochure here has provided a detailed discussion on the myths and truths surrounding breast cancer. 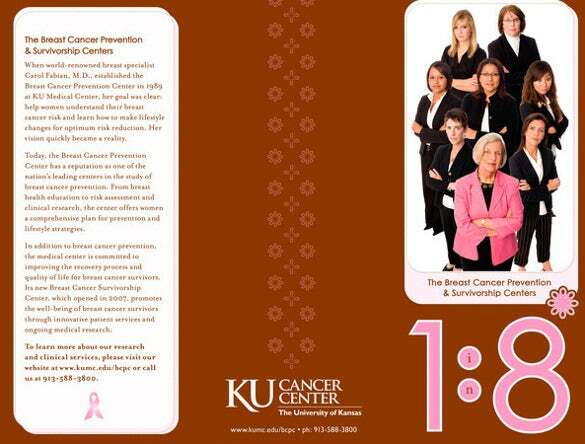 The whole brochure has been kept pink in alignment with the signature theme of the issue. 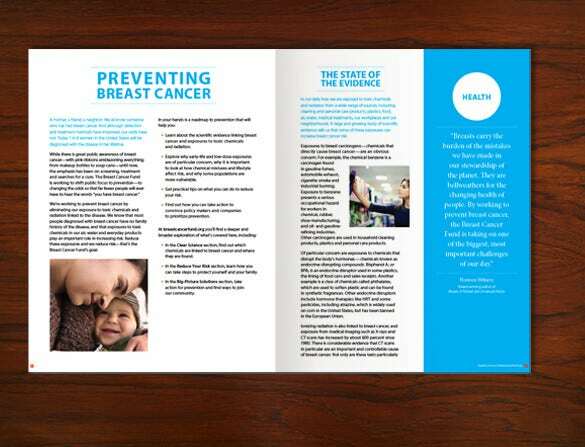 NGO’s across the globe, use these breast cancer brochure templates to create awareness about the illness. Most of the templates are available in pink, but you can also select from our wide range of other colors and shades. These templates have the cancer ribbon, hearts and various other relevant shapes and logos printed on them.